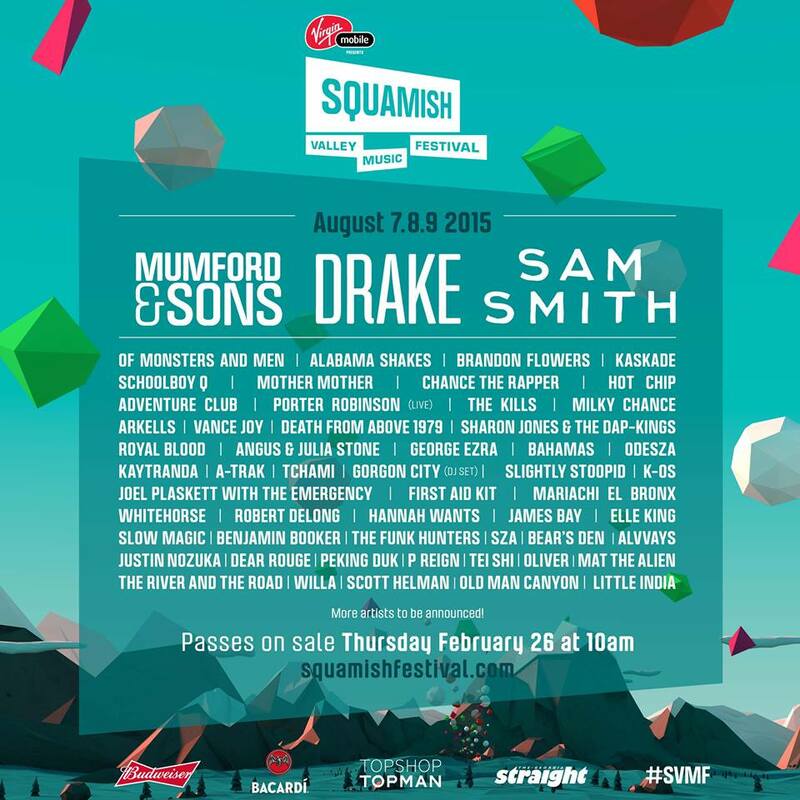 Drake to Headline BC’s 2015 Squamish Music Festival! █♣█ – redleafgoldteeth. Check out the official poster below. Will you be making a trip to Squamish this year, or another fest? Who are you most excited to see? Let us know in the comments below! Pingback: RLGT x #TBT: k-os – ELEctrik HeaT – the seekwiLL █♣█ | redleafgoldteeth. Pingback: Kendrick Lamar & Jack Ü to Headline 2015 Pemberton Music Festival | redleafgoldteeth. Pingback: New Music: Sam Smith – Lay Me Down (Flume Remix) | redleafgoldteeth. Pingback: Squamish vs. Pemberton: Which Festival Should You Go To (Lineup Mixes) █♣█ | redleafgoldteeth. ← UK’s Bestival Crosses The Pond To Toronto!